For a different kind of car buying experience, you need to discover a different kind of dealership—one that reflects the brand it represents and puts the customer first, no matter what. 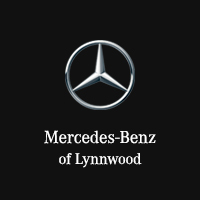 Mercedes-Benz of Lynnwood is proud to say we do just that, and we plan to continue along that road for any Everett, Edmonds, Bothell, Woodinville, and Seattle drivers who make us their dealership of choice. Those in the market for a luxury vehicle, you’ve come to the right place. With more than 200 new Mercedes-Benz models in stock, you’re sure to find one that matches your driving preferences and luxury standards in the trim and color of your choosing. Of course, we have a selection of certified pre-owned Mercedes-Benz vehicles on sale, as well, for buyers who want the epitome of luxury for less than a brand-new car. Beyond the impressive selection, you’ll have access to the expertise and guidance our finance center has to offer. We work closely with our customers to arrange financing packages that meet their individual needs, rather than taking a one-size-fits-all approach. The certified technicians at our automotive service garage are also at the ready to handle whatever you bring our way, whether that’s a part replacement or a tire rotation. We’ll get you in, out, and back on the road in no time. Head to Mercedes-Benz of Lynnwood today at 17800 Highway 99 in Lynnwood, WA to get the ball rolling on buying a luxury car or getting the service your Mercedes-Benz deserves. We’re here to take your calls, too, if you need more information beforehand!